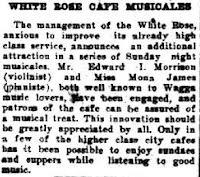 Cafes were a huge part of the community in the first part of the 20th century. 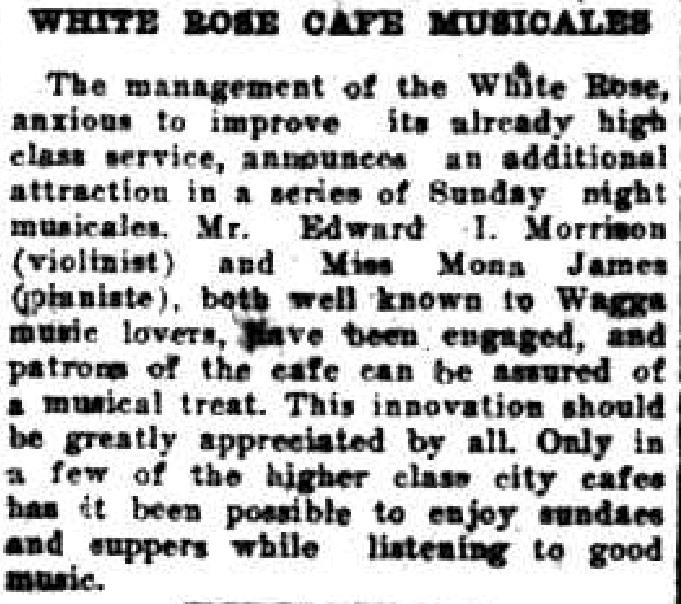 More than just providers of food and drink, cafes were meeting places, landmarks for giving directions to events or other businesses, and they hosted events and parties of all kinds. Street stalls were part of the war time fundraising effort and directions for such were printed in the newspaper when announcing when and where the stalls were operating. People could buy goods from the stalls and the money raised went to supporting war related or other similar charities. 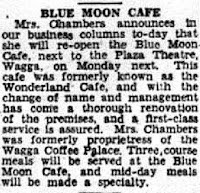 The Greek café community in Wagga Wagga also contributed greatly to the war effort by raising large amounts of money in 1942. 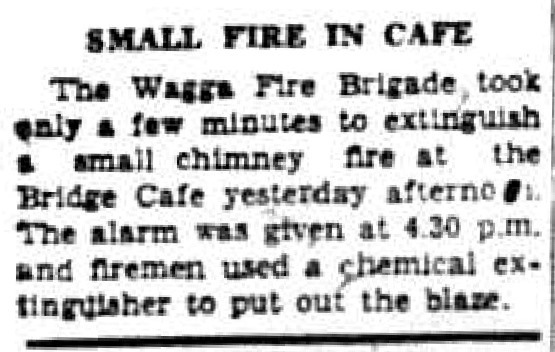 Cafes also made the news through brawls, breaching food health and safety laws, people behaving weirdly (yelling or knocking tables and chairs over) and being removed from the premises, fires, and over pricing of cigarettes, to name but a few examples. 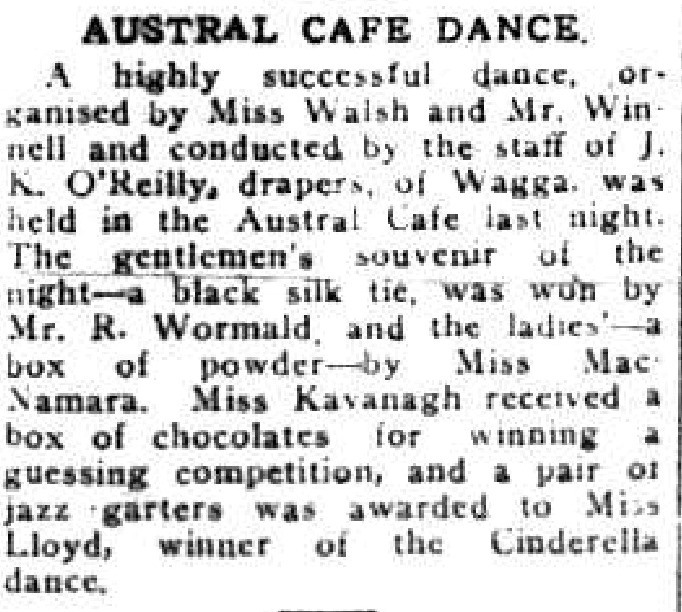 Farewells and bridge nights, engagement parties, musical evenings, in fact anything that involved people gathering for an event would most likely involve one of Wagga’s many cafes. 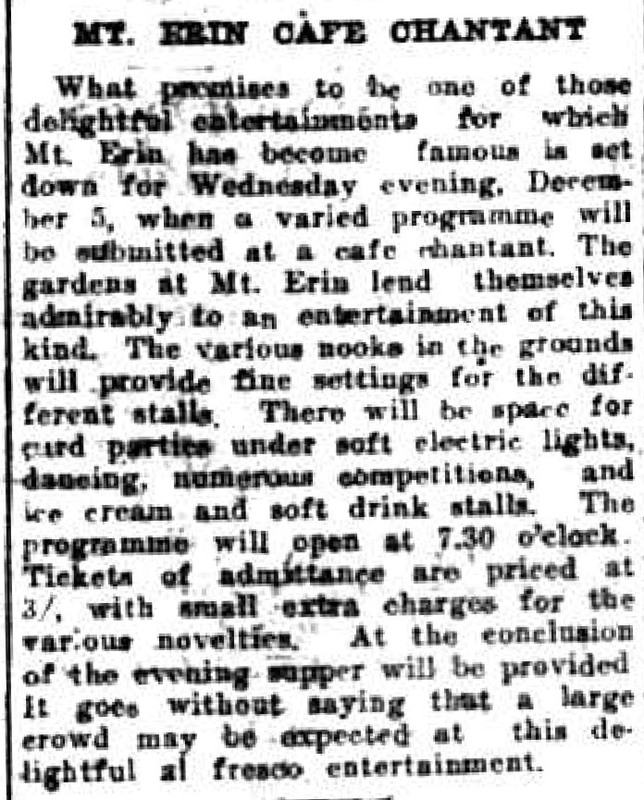 In the early part of the 20th century the Café Chantant was also popular, a form of café event held outside in garden settings, where people sang and recited poetry and stalls sold different foods like ice creams and fizzy drinks, tea, coffee and little cakes. Gardens at twilight, with strings of fairy lights and Chinese lanterns decorating the trees, were pretty backdrops for the evening's programme. 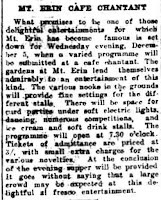 Mount Erin held a number of successful Café Chantants in the 1920s. 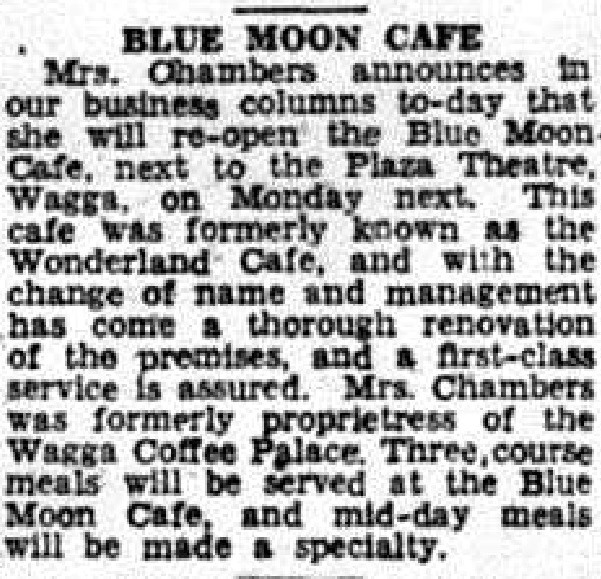 The Bridge Café is famous in Wagga Wagga’s history and is featured in Selling an American Dream : Australia’s Greek Café, the book accompanying the national travelling exhibition in 2013. Lex Marinos is a descendant of the original owner of the Bridge café, Anthony Karofilis. This book is part of the Wagga Wagga City Library local studies collection and is available to view within the library. 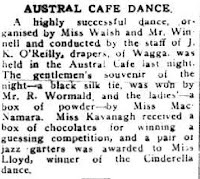 In an Australia we still remember, in each suburb and every country town, was the Greek cafe or milk bar – open all hours, 7 days a week. Remember the Niagara, the Parthenon, the Astoria and the Paragon? They gave us more than milkshakes, lollies, ice cream and home-style meals. 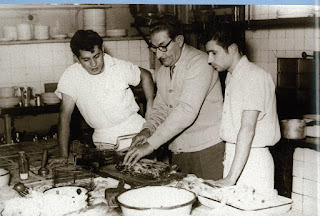 With Modernist designs, American gadgetry and coloured lights, Greek cafes brought atmosphere, a touch of glamour, at times a hint of Hollywood – a little break from the mundane reality of local life. EFFY ALEXAKIS and LEONARD JANISZEWSKI took their audio recorder, camera and pen into this vanishing world. They captured the stories and faces, the style and the ethos that gave our popular culture one of its most memorial expressions.